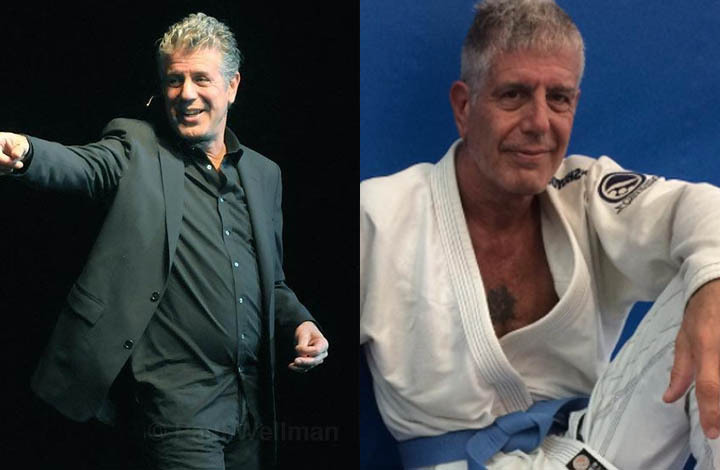 Anthony Bourdain, a celebrity chef and martial artist, has left this realm by his own hand. His death hits me hard, I suppose, because he was from my generation. But also the senselessness of it. A culinary savant and a de facto anthropologist, he traveled the world treating his television audience to exotic cuisines and cultures. I wasn't a huge fan, but the few times I caught his show, Parts Unknown, it left me invariably hungry. Bourdain took equal pleasure in watching the creation of a fine meal as he did in eating it in front of us. He began studying jiu-jitsu when he was 58. He called it "physical chess", and the idea of being a beginner at something and learning a new skill at his age enthralled him. He competed in his art. A down-to-earth, affable guy, he struck me as someone who wasn't overtly alpha, but not shy to speak his mind. He was famous, admired and charismatic. He was a gifted writer. What more could a man want? He leaves a young daughter and a legion of fans. Anthony Bourdain — gone at 61. For reasons unknown.